The whole fruit popsicles are an absolute favorite recipe in our preschool curriculum. As you can see in our video even kids can make these. Let them arrange favorite fruit chunks or slices in the molds and they will be delighted with the result. Purée watermelon chunks in a blender or food processor. 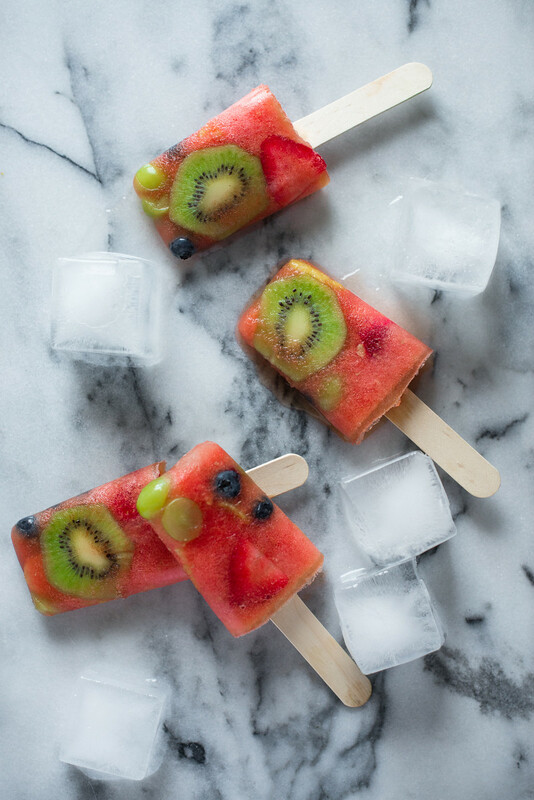 Arrange whole fruit loosely in popsicle molds. Pour watermelon purée into molds. Place sticks in the popsicles and freeze 3-4 hours or until hardened.